Following back-to-back losing seasons, there seems to be big changes coming to the Queen City. 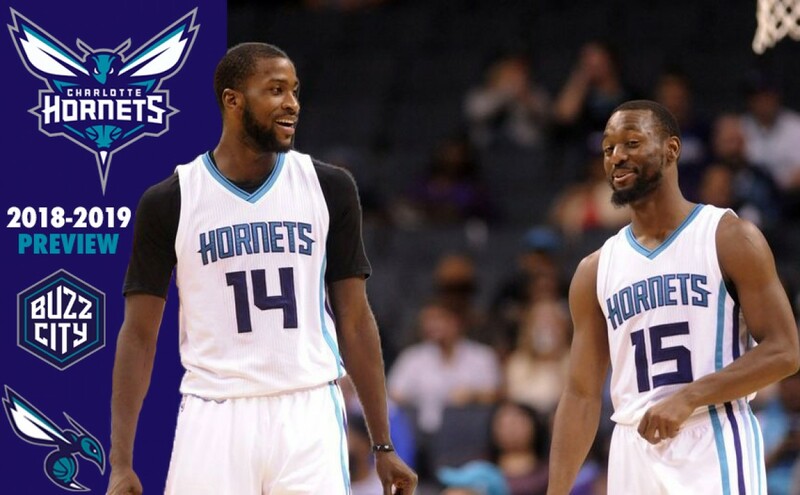 With a new head coach now in place and every player on notice, it appears that the Hornets are serious about being a dark horse contender in the Eastern Conference. Following back-to-back losing seasons, there seems to be big changes coming to the Queen City. Michael Jordan has watched the Charlotte Hornets win 36 games while missing the playoffs in the process. Losing bothered him so much that he cleaned house in the offseason. Steve Clifford is out as Hornets head coach. Rich Cho and Buzz Peterson are out as general managers. Mitch Kupchak will now take the reins as general manager while James Borrego will sit in the coaches seat for the time being. With roughly a month until the Hornets open training camp in Chapel Hill, Charlotte will be looking to tweak some things and make corrections before tip-off on October 17. Here is a preview of the 2018-2019 Charlotte Hornets. 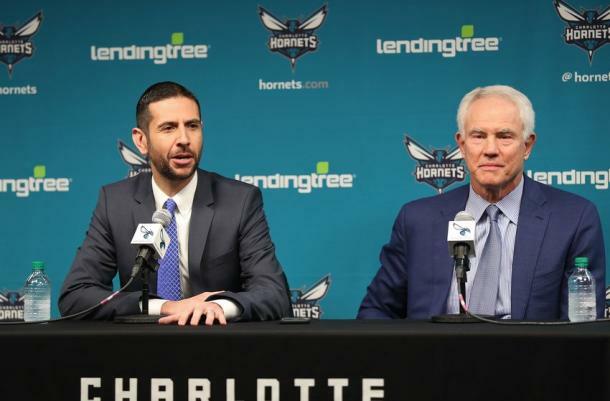 It was announced on May 10 that the Hornets hired Borrego to be their next head coach. Borrego agreed to a four-year deal, with the Hornets holding a team option on the fourth year of the contract. He is is believed to be the first Hispanic-American to be a full-time NBA head coach. The Hornets were sold on Borrego's strong credentials as one of Gregg Popovich's longtime assistants, being an San Antonio Spurs assistant coach for 10 years (2003-2010; 2015-2018). Charlotte fell in love with his abilities in player development, devising game plans on both the offensive and defensive ends, and building relationships with players. Borrego's also had assistant coaching stints with the New Orleans Pelicans and Orlando Magic. With the 11th pick in the draft, the Charlotte Hornets selected point guard Shai Gilgeous-Alexander out of Kentucky. At the time, Gilgeous-Alexander seemed like a perfect fit. However, we would never get to see him in a Hornet uniform because he was traded to the Los Angeles Clippers for Miles Bridges. In 62 games with Michigan State, Bridges shot 47 percent from the field, averaging 17 points, 7.6 rebounds and 2.4 assists per game. He was named second-team All-American and first-team All-Big Ten. In five appearances in Las Vegas, Bridges averaged 15 points, 8.2 rebounds and 1.8 steals per game while averaging 30 minutes. He shot 34 percent from the field and flashed at times on the defensive end, averaging 1.4 steals and 1.2 blocks per game. 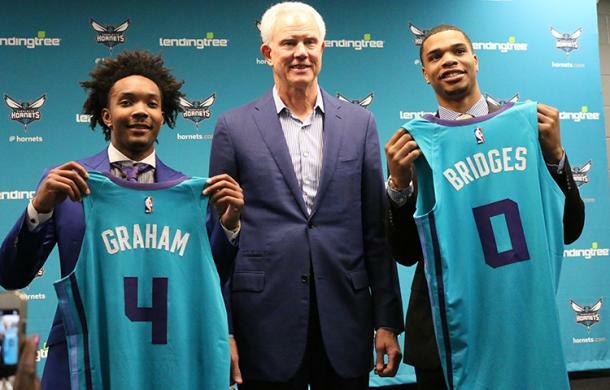 In the second-round, the Hornets traded two future second-round picks to the Atlanta Hawks to select Kanas point guard Devonte' Graham. Voted Big 12 Player of the Year, Graham averaged 17.3 points and 7.2 assists his senior season. In 142 games, Graham averaged 12.3 points, 4.5 assists and 1.4 steals per game. His sample size during the Las Vegas Summer League was small, averaging 10 points and six assists in three games. With the 55th pick, the Hornets selected Arnoldas Kulboka. Kulboka has spent most of his career as a member of the German Brose Bamberg team. Even though he appeared in the Summer League, Brose Bamberg announced, that Kulboka would return to the team for the upcoming season. Charlotte was very active when it comes to trade during the offseason. On July 6, the Hornets sent Dwight Howard to the Brooklyn Nets in exchange for Timofey Mozgov, the draft rights to Hamidou Diallo, a 2021 second-round pick and cash considerations. Later that day, the Hornets sent Diallo to the Oklahoma City Thunder in exchange for a 2019 second-round pick and cash considerations. On July 7, the Hornets were involved in a three-team trade. Charlotte received Bismarck Biyombo (Orlando) two future second-round picks (from Orlando), sending Julyan Stone to the Chicago Bulls and Timofey Mozgov to the Orlando Magic. The Magic also received Jerian Grant form the Bulls. 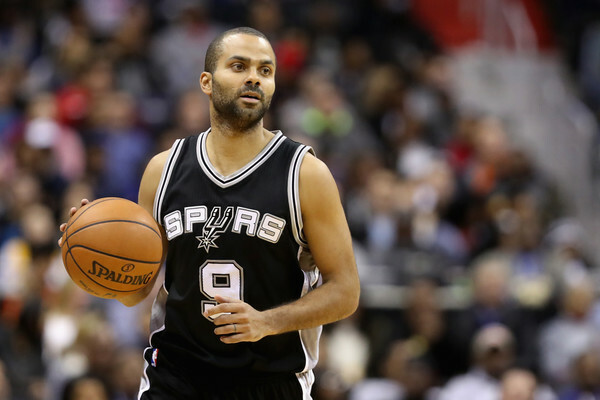 The biggest signing of the offseason for Charlotte was point guard Tony Parker. Parker signed a two-year contract worth $10 million. ​J.P. Macura, Jaylen Barford, Isaiah Wilkins and Joe Chealey signed two-way contracts after going undrafted. If Charlotte aspires to be a playoff team come seasons end, they will have to rely on the growth of their young draft picks while getting the most out of the veterans on the roster. A report from the Charlotte Observer recently indicated that the Hornets are open to Michael Kidd-Gilchrist playing more at power forward and Frank Kaminsky playing more at center. If the moves work out during the preseason, the Hornets could have a lineup that features Kidd-Gilchrist and Miles Bridges on the floor at the same time. If Kaminsky doesn't work out, Charlotte knows it could rely on Cody Zeller. How many minutes will give future budding starters Malik Monk and Devonte' Graham? With Nicolas Batum and Jeremy Lamb in front of them, they will have to prove themselves during the preseason. Speaking of Jeremy Lamb, will the Hornets decide to move him before the trade deadline? Lamb is coming off his best season in the NBA: He averaged a career-high 12.9 points and improved his 3-point percentage to 37 percent. Lamb will be an unrestricted free agent in July, with teams looking for a solid wing player. At just 26-years-old, Lamb also has age on his side. How about Kemba Walker? Does he finish the season as a member of the Hornets? The 28-year-old will also be a unrestricted free agent at seasons end. Walker is the Charlotte's biggest trade asset and possibly their best player. A lot of the season success will be placed on Walkers' shoulders. If Charlotte is struggling, it would make sense for the Hornets to make a trade and get something rather than lose him for nothing. "I’ve been hearing it for years. Every time I come home, ‘When are you going to come home and play for the Knicks?’ I know it’s a special place, I was a Knicks fan growing up, always rooted for the home team. But I just can’t see myself in a Knicks jersey, only because I’ve only been in one jersey." Walker recently told Dom Amore of the Hartford Courant. "I just want to do something special in Charlotte. I’ve been there eight years now, and we haven’t really been consistent as far as winning. I just want to try to establish that culture at some point. That’s what I want to do, I just want to make it a winning organization." Walker continued. Many aren't expecting the Hornets to be that competitive in Borrego's first season in the NBA. Stranger things have happened in the NBA. If it all comes together, the Hornets could squeeze in a seven or eighth seed. As it currently stands, the Westgate Las Vegas SuperBook has Charlottes' over-and-under of wins at 35.5 wins.